If you’ve been holding out on getting a Raspberry Pi 2, I’ve got a question for you. What are you thinking? The latest edition of the pint-sized computer is awesome. It’s faster, bolder, and comes with a souped-up CPU and double the RAM. Simply put, it’s a significantly more capable machine. But you probably already knew that. 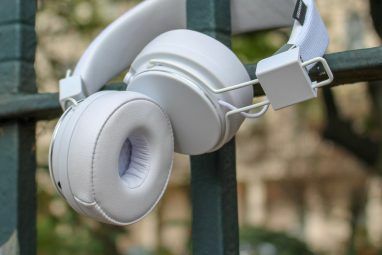 The iterative nature of hardware releases means that each new arrival is inevitably faster and more powerful than what preceded it, but often without any meaningful difference. But the Raspberry Pi 2 is radically different. It can do a whole lot more than what preceded it. Windows on the original Raspberry Pi was always really unlikely. For starters, the humble Raspberry Pi could never hope to keep up with something as fiercely CPU and RAM intensive as Windows. Then, there’s the small matter of Windows not being built to run on ARM chips (not including Windows RT, which was never available for general purchase anyway). But that all changed with the release of the Raspberry Pi 2. The boost in RAM and CPU power meant that it was finally capable of bigger things. Microsoft recognized this, and ported a stripped-down version of Windows 10 to it. This was called Windows 10 for IoT Core Windows 10 - Coming to an Arduino Near You? Windows 10 - Coming to an Arduino Near You? Read More , and was released to the general public for free. 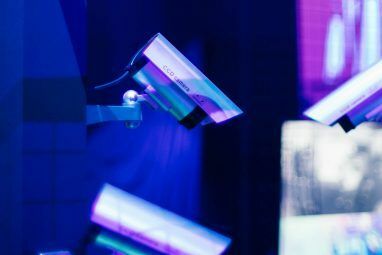 This version of Windows is ideal for those who want to build their own Internet of Things products, but are far more comfortable in Microsoft’s gilded cage than out of it. But don’t think it’s like the Windows you’re used to using on your laptop computer. It isn’t. It’s been stripped down in order to make it work on the comparatively limited hardware of the Raspberry Pi 2. It doesn’t support old-school desktop applications, for example, and there’s no app store; nor can you run universal apps unless they’ve specifically been designed to run on the Pi. But you can start making your own apps today! One of the biggest selling points of the Raspberry Pi was that it was so incredibly cheap, and therefore accessible to anyone. The reason why it was available at such a low price point is due to the fact it cut so many corners. One such design compromise was to use a weaker, cheaper processor that uses the ARMv6 instruction set. Each operating system has to be specially built to run on a particular chipset. Only a handful were built for this chipset, including (but not limited to) NOOBS, Raspbian, and spin-offs of Gentoo and Arch. Ubuntu was not one of them. Support for ARMv6 ended with Karmic Koala (version 9:10), almost six years ago. But since the upgraded Raspberry Pi 2 runs the ARMv7 instruction set, it can finally run Ubuntu. One of the more popular versions for the Raspberry Pi is Ubuntu Core, which offers a stripped down GUI-less experience, ideal for lightweight hardware. It’s more secure too, since it’s been designed from the ground up to feature a limited set of components, thereby offering a smaller attack vector, and with an update system that sees updates being pushed to it faster than standard Ubuntu. But you don’t have to stick to the command line if you don’t want to. There are even graphical variants of Ubuntu that run well on the Raspberry Pi, like Ubuntu MATE A Review of MATE: Is It a True GNOME 2 Replica for Linux? A Review of MATE: Is It a True GNOME 2 Replica for Linux? The world of Linux desktop environments has dramatically changed since then. Gnome 3 was born, Gnome 2 was essentially thrown to the side, Gnome 3 was forked to create Cinnamon, and so on. However, Gnome... Read More . As you might have guessed, this runs the MATE windowing system. This is based on the since discontinued GNOME 2, and is widely regarded as the best compromise between speed and looks. It’s sufficiently lightweight to run on the humble Pi, but it also packs enough visual pizzazz to make it pleasant to use. It should go without saying that people have also been able to get standard Ubuntu (running Unity Shell and Gnome 3), and KUbuntu (running the notoriously bulky KDE) running on the Pi 2. You don’t have to use Ubuntu MATE, but it feels the most appropriate one for such limited hardware. If you’ve not got a Raspberry Pi, but you still want to give the MATE windowing environment a try, you can easily install it How To Install The MATE Desktop On Your Linux System How To Install The MATE Desktop On Your Linux System The MATE desktop might well be the right choice for you. If you're interested in using the MATE desktop, here are several ways to get it, including on your favorite distributions. Read More on your existing Linux system. The Raspberry Pi was never meant to be a games machine. It was always intended for experimentation and learning. But despite that, it could run some games. The first one, for instance, was even able to play Quake 3 passably, thanks to its built-in hardware 3D acceleration, as well as Minecraft, and other home-brewed games Amazing Games You Can Play on the Raspberry Pi without Emulation Amazing Games You Can Play on the Raspberry Pi without Emulation You can probably see where I’m going with this, but I’ll spell it out just in case. A few nights ago I decided that rather than play Civilization V on my PC, I would look... Read More . 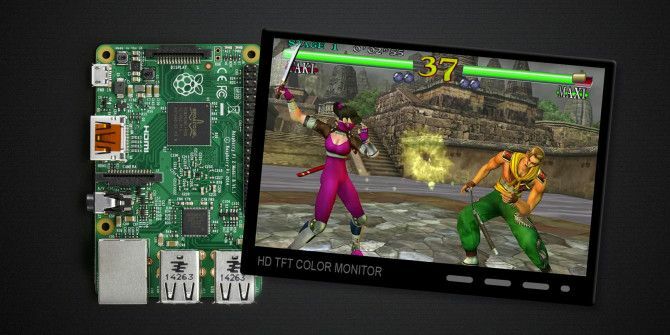 It could even run console emulators, like PiStation, which emulates the ancient Playstation 1, and RetroPie How to Install Game Emulators on the Raspberry Pi How to Install Game Emulators on the Raspberry Pi Desktop computer, media center, an integral part of a budget space program - is there no end to the versatility of the Raspberry Pi? Seemingly not – because it also does games. Read More , which emulates a broad range of old-school consoles. This point is totally subjective on what you consider to be comfortable. The first generation of the Raspberry Pi computers was widely regarded as being too slow for internet browsing. But the Raspberry Pi 2 is a very different beast, with many tech writers having given the browsing capabilities of it a positive write-up. TechRepublic’s Nick Heath said “Pi 2 proved a comfortable machine for browsing, one that fitted Upton’s description as fulfilling a role as a house’s second PC”. 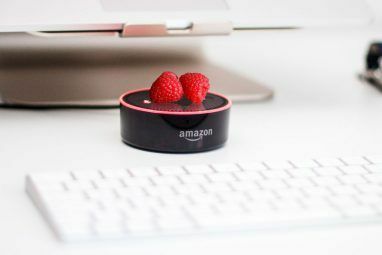 Writing for Digital Trends, former MakeUseOf staff writer Matt Smith said “So equipped, most webpages loaded in seconds, and scrolling was smooth more often than not”. Your milage, of course, will vary. 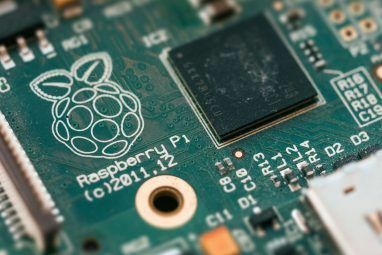 It’s important to remember that although the Raspberry Pi 2 is a massive improvement on the first model, there’s still a lot it can’t do 5 Things You Can't Do With Raspberry Pi 2 5 Things You Can't Do With Raspberry Pi 2 With a quad core CPU and boasts of being able to run Windows 10 – is the Raspberry Pi 2 really all that? Here's 5 things the Raspberry Pi 2 still can't do. Read More . Have you got a Raspberry Pi 2? Have you found that it can do something the first-generation Raspberry Pi couldn’t? Let me know in the comments below. True. I was mostly contrasting the vast differences between the first and section generation Raspberry Pi.